Graham's Blog . . .
You're grabbing your dusty old record player out of the attic prepared to slowly fade into a rock-induced coma of nostalgia and bliss. But when you plug it into your amp you aren't met with the foot happy tunes and ear-damaging metal of your youth. Instead, you hear a faint whisper of your favourite classic song, distorted into a grainy, treble-heavy nightmare. Don't worry! Nothing is wrong with your turntable. You just don't have a phono stage preamp. Let's talk about why a phono stage preamp is a crucial part of your turntable setup, and how you can find the best preamp for your particular situation. What is a Phono Stage Preamp? A phono stage preamp — also called a phono preamplifier, turntable preamp, or simply phono preamp — is an electronic circuit that amplifies the volume and adjusts the levels (e.g., bass, treble, etc.) of your record players cartridge for playback on audio equipment. It's important to note that phono stage preamps not only match the phono cartridge signal to that of your other sources, but they adjust the bass and treble levels, which are manipulated to maximise record grooving. The original idea to cut records with a magnetic cutter head which reduces amplitude with increasing frequency, and then play them with a magnetic cartridge which boosts it back, seemed like a good idea. But the bass took up so much record surface that only a few short minutes could be squeezed onto the equivalent of today's long playing LP record. And the boost applied by the magnetic cartridge easily showed-up any surface damage to the delicate treble groove modulations. The answer was to slope down the lower frequencies and slope-up the upper frequencies to make uniform groove modulations. Record labels would disagree on the level and position of cut and boost until in 1953, the Recording Industry Association of America (RIAA) developed a standardised equalisation (EQ) everybody could agree with, and the RIAA curve became the de-facto standard used to this day. So, without the phono stage preamp saddled between your record player and your audio equipment, your records are going to sound extremely quiet and thin. The result is that quiet, treble-heavy nightmare I mentioned earlier. Phono Preamps have existed since the first electric phonograph records, not that you'd notice, and that's because they were part of the record player amplifier in one way or another. In fact, some record players used a type of cartridge which didn't need any signal reshaping at all. These were ceramic or "Rochelle salt" crystal cartridges, which had an approximately flat output which was close enough for the lo-fi results they gave. And anyway, the record player would have used tone controls to "improve" the sound. But for high fidelity a magnetic cartridge and a built-in phono preamp stage was a necessity. RIAA equalisation wasn't always the status quo. In fact, back in the 40s, there were a number of different equalisations, and each record company sort-of invented their own. There was Columbia-78, Victor-78, FFRR-78, Decca-US, etc. etc. As you can imagine, this wasn't exactly fun for record owners or radio stations. Imagine having to remember what tone control settings to use for the right EQ? So, RIAA came in and standardised the equalisation. Which obviously is a great thing? And, this standardisation meant that preamps could be shoved into any record player and it would automatically adjust the levels of records despite their label or origin. So, for years, all record players and hi-fi amps came with a preamp pre-installed as part of its circuit. Then, vinyl took a nosedive when cassettes, and later CDs, hit the scene. To save money, amplifier producers excluded the preamp, which meant that preamps became a market of their own. Here's the thing. When all of these industries started removing phono preamp stages, it opened the industry for something new — preamp variety and quality. Since you can now handpick your preamp, you can get nitty-gritty with the details and choose one that really fits your needs. But, how do you choose the right one? Choosing the right preamp is going to come down to a number of factors. The two most common types of preamps are the tubular preamp and solid state preamp. Both of these are OK choices, but there are a few minor differences you should be aware of. By far the most common preamp is the solid state. Instead of relying on a bunch of antiquated mechanical parts, it uses modern tech to give you high-quality sounds. One of the main draws of solid state preamps is that they can be custom designed to get incredibly specific. Since they introduce modern electrical components, high-end solid-state preamps can boast incredible sound quality and robustness. Here's the main problem with solid-state preamps. There are a TON of poorly designed ones on the market. But, high-quality preamps can run you as much, if not more, than tubular preamps. But, typically, these deliver superior sound quality and have some features that set them apart from tubular preamps. Note: Some people are hinged to a myth that tubular preamps have "better warmth." This isn't true. The problem is that there are tons of low-quality solid-state preamps on the market that cost like £30. Since tubular preamps have a higher "base cost" associated with their construction, most tubular preamps are mid-range to high-range. But, high-end solid-state preamps deliver the same (if not better) warmth and sound quality as tubular preamps. One of the draws to tubular preamps is that they use analogue tubes/valves, which makes them more "old school" and, some people believe this gives them a warmer sound. Of course, solid-state preamps can deliver the same sound quality. It just depends on the preamp. Tubular preamps usually cost more than solid state (until you get to the high-end equipment) but, they can be a great choice for those that want to keep their system old-school. That being said, the bang-for-your-buck lies with solid-state. You need to have the space for your preamp. Some high-end preamps can be massive, especially tubular preamps, so it's important to understand where it's going to fit in your setup. I believe in making things without unnecessary frills. My higher end Accession MC is about 11 cm in width, and you'll find "comparable" preamps that can be one-or-two feet long. Always check your preamps for size to make sure that it will fit into your stack — or to make sure that you simply have the table room to accommodate it. Alright, this part is hyper-important. You need to make sure that your preamp is optimised for your cartridge. The two cartridge types are MM (this is the most common) and MC. When I designed my preamps, I ran into lots of questions from my customers regarding why I wasn't creating an MM/MC combo preamp. Both of these cartridge types require completely different approaches towards optimising. Creating a preamp that optimises them both leaves you with a more expensive preamp that sounds worse usually with MM. Sure, plenty of companies do just that. But, if you're going to spend the money to get a high-end piece of equipment, don't you want it to sound at its best? I heavily recommend investing in two preamps if you use both cartridges — not one preamp that handles both badly. As a general rule of thumb, more expensive preamps sound better. Of course, there are exceptions. But, like most high-end audio equipment, high-cost generally means custom-made, fine-tuned, and knowingly designed. So, if you spent £2,000 on a turntable, you'll want a preamp that lets you make the most of that turntables sound quality. If you go out and buy a cheap preamp, you'll end up missing out on all of that rich sound you just paid to have. If you're looking to achieve the best possible sound for your vinyl records, you'll probably end up setting up a HiFi system. Great! Let's talk about what a typical HiFi system is composed of and where the preamp fits into that blend of equipment. The first decision you'll make is which record player you should buy for your HiFi setup. Choosing a turntable requires you to make many different decisions. Here are some of the key things you should consider. Be careful and patient to set up your turntable properly - it can be fiddly - but the results depend on it! Having a solid amplifier is a critical part of your HiFi setup. I won't go into a ton of detail about amplifiers on this post (that's separate post material.) But, I recommend looking into a headphone amplifier if you're going to be wearing headphones. Of course, speakers are going to play a huge role in the sound quality of your HiFi setup. There are hundreds of speaker providers to choose from, and prices range from expensive to ludicrous. Finally, you'll want to make sure you have quality cables to support your connections. These could be RCA/phono plugs, jack plugs, XLRs, USB, etc. But most of all, they must be effectively shielded to keep out sound-quality damaging interference. Where Does the Phono Preamp Fit Into This? With such a weak and easily polluted signal as that which comes from a magnetic phono cartridge, you need a phono preamp which takes best care of it. A mistaken choice here will leave you frustrated and most likely joining the "roundabout ride" of the condition "upgraditis", when with a bit of thought it could have been so much better. 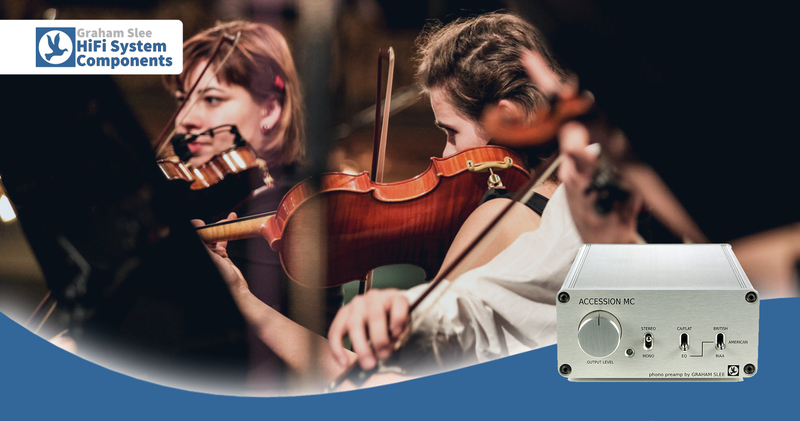 Are you looking for the best phono preamps on the market? Do you want high-quality sound delivered to your speakers? I've been developing preamps for over 40 years. Working in public entertainment, broadcast audio, and hi-fi, I've brought that level of expertise to the home market. Whether you're a conductor, pop fan, metal head, punk rocker, or ska enthusiast, I have the preamps to fit your needs. All of my preamps are solid state. Sure, you may get lured into buying a tube preamp. That's fine — to each their own. But, tubular preamps come with unnecessary levels of distortion, and I can't bring myself to get on board with the trend. I sell both MC and MM preamps, and they come with a range of features that I think you'll find pleasantly surprising. But, hey, don't take my word for it. Go check out the product page. Read a little about them. I think you'll be pleasantly surprised. If you have any questions about my preamps or phono preamps in general, don't hesitate to contact me. I'm audio-head, and I'm happy to talk shop with you any time. Add your comment . . . Comments will appear on this page after moderation. The hi-fi industry was (and still is) unprepared for cellphone interference when it comes to the high gain circuits essential to phono preamplification for moving coil cartridges. The problem is that . . .